You can also perform a more selective search for churches in the Toft area or see them printed on a map. The Anglican parish church is dedicated to Saint Peter and Saint Paul. The church was built in the Norman period. The church was rebuilt in 1890 and reconsecrated in April, 1891. The church is a tiny church and seats only 80. 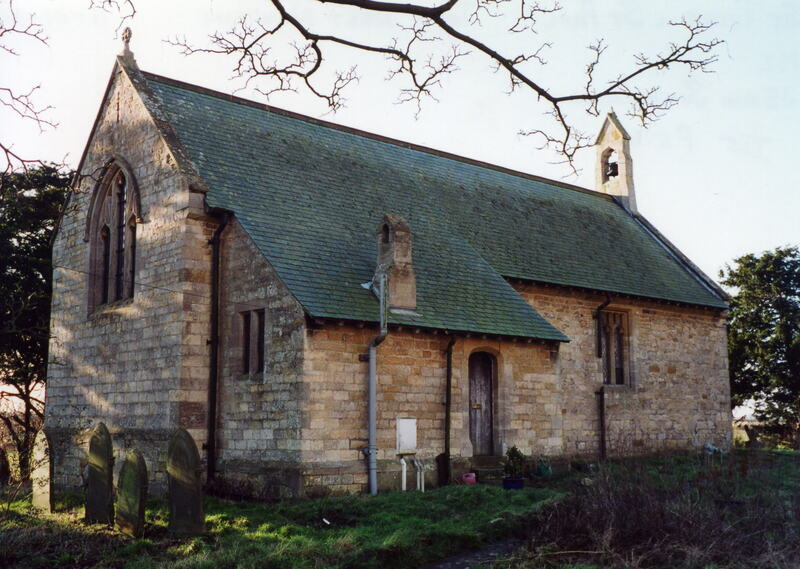 The church at Toft was declared redundant in 1986. It was sold for residential use in 1989. A photograph of Saint Peter and St. Paul's Church is at the Wendy PARKINSON English Church Photographs site. Richard CROFT has a photograph of Saints Peter and Paul's Church on Geo-graph, taken in June, 2006. We have the very beginning of a Parish Register extract in a text file. Your additions and corrections would be appreciated. Toft is a small village and parish about 4 miles west of Market Rasen. The River Rase runs along the northern border of the parish. The parish covers only about 1,300 acres. Ask for a calculation of the distance from Toft to another place. You can see the administrative areas in which Toft has been placed at times in the past. Select one to see a link to a map of that particular area. The parish was in the southern division of the ancient Walshcroft Wapentake in the West Lindsey district in the parts of Lindsey. April, 1936, this Civil Parish was abolished to create a combined Toft Newton Civil Parish. As a result of the 1834 Poor Law Amendment Act, this parish became part of the Caistor Poor Law Union. The children of this parish attended school in Newton parish.